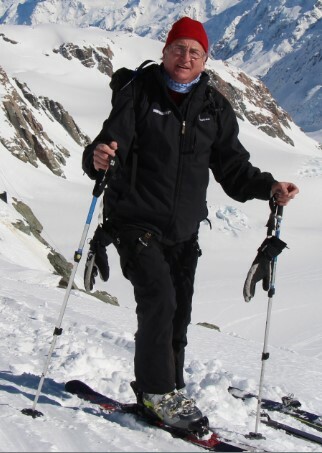 Dave Bamford began his working career as a New Zealand national park ranger in the mid-1970s. This role gave him fundamental insights into the many challenges facing economies, the environment and small communities. He left the service as a park manager in 1986 and with business partner Les Clark, founded Tourism Resource Consultants (TRC). Clark and Bamford had a vision that tourism, properly developed and managed, could create employment and provide economic growth and benefit conservation in communities around the world. The firm’s 30-year history promoting sustainable tourism in more than 40 countries, many developing nations, proved this to be true and their direction led TRC to become a highly respected and leading practitioner in Australasia, Asia and the Pacific. Dave Bamford was pivotal in TRC Tourism* becoming a leader in nature and adventure tourism. Detailed research and planning led to the development of walking, trekking and cycle trails, mountain recreation, ecotourism lodges, fresh water boat cruises, fishing, surfing and other marine sports which became a hallmark skill of the firm. In his capacity as an independent tourism advisor, Dave now focuses on providing strategic advice and input on selected projects ranging from policy development, tourism planning and partnership with tourism and conservation organisations and communities, to feasibility studies, training programme development and business plans. He has worked extensively in New Zealand on regional tourism strategies, business plans and national park recreational opportunities. Dave is often asked to present on the topic of sustainable management of national parks and protected areas at seminars, workshops and conferences in New Zealand and internationally. During Dave's career he has worked with, and on behalf of governments, businesses, communities and individuals in New Zealand, Australia, Samoa, Fiji, Vanuatu, Tonga, Malaysia, Mongolia and Vietnam. He’s also worked in Antarctica, Brunei, Cambodia, Chile, France, Japan, Kyrgyzstan, Laos, Micronesia, Montenegro, Myanmar, Nepal, Niue, Papua New Guinea, People’s Republic of China, Rwanda, Singapore and Thailand. As well as significant insights into international best practice in tourism business, policies and management, this extensive experience has created a wealth of international networks and friends to call on.